#JoinIn in the Brazil 2014 FIFA #WorldCup™ - Let's Go to Brazil !!! Today, 12th of June, 2014. 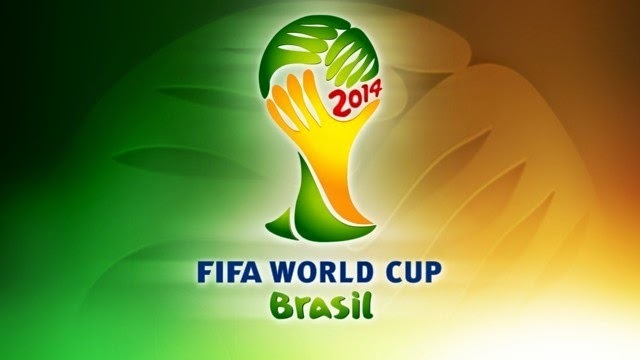 The Brazil 2014 FIFA World Cup will start and the Opening Match will be between the Host Nation; Brazil and Croatia. Due to the fact that the FIFA World Cup™ is the most prestigious tournament on this planet (reaching the world), the demand for the matches coverage is continuing to grow. As a result, FIFA.com is providing users access to an unprecedented amount of exclusive World Cup content on both the desktop version and the mobile platform of the website and also via the Official FIFA Android App. Yes, in addition to reviewing the latest news, you can view photos and videos of all the actions, in training and at the base camps around Brazil and in those special behind-the-scenes moments only available on FIFA.com. In-depth team and player profiles is also available for the 32 teams, 32 coaches and all 736 players so you can learn more about the side you support, their opponents in the Group Stage or any other Brazil 2014 competitor. FIFA.com also offers an extensive social media hub, highlighted by Global Stadium, which will give users an unforgettable and unique World Cup match-day experience. The Global Stadium allows you to, among many other features, be the first to see the actual team sheets and follow the match live with up-to-the-minute commentary. FIFA's external social media platforms also include Twitter, Facebook, YouTube and Instagram. Now, why don't you #Joinin and experience a part of the 2014 FIFA World Cup™. There are also a wide range of games, challenges and interactive areas of FIFA.com users have been enjoying in the build up to the World Cup. Some great prizes are available to win when you participate, including Brazil jerseys signed by Neymar, a Sony television and Adidas Brazuca kick-off footballs, just to name a few. - McDonald’s FIFA World Cup Fantasy lets you build your starting XI out of your favourite Brazil 2014 players, buy and sell footballers and score points to make your way to the top of the leaderboard. - You can also select your Dream Team presented by Oi and choose your ultimate squad with the best and brightest World Cup stars. Submit your team featuring any players you like using a fixed 4-3-3 formation and be entered into a random prize draw. - Have you ever wanted to know what it feels like to be one of the 32 coaches at the World Cup? Now you have that chance with Your 11 presented by Hyundai, where you can sit in the hot seat and select a tactical formation and starting line-ups for each team at every match. - The Kick-off Ball Contest gives you the chance to win an actual Adidas Brazuca from one of the Brazil 2014 matches. Simply answer three questions related to the match and if you answer them all correctly, you will be entered into the draw to win. - The Panini Online Sticker Album allows you to collect your favourite players in this classic sticker swapping game, but with an online twist. Open packs of digital stickers, swap with friends and the rest of the FIFA.com Club community to complete your set and win some outstanding prizes. - Get involved with each match with the Castrol Predictor Challenge, where you are tested on every aspect of your football knowledge. For a chance to win an actual match ball used during the Final at the Maracana on 13 July, choose who you think will win be named as the World Cup’s best player using the adidas Golden Ball Predictor. Similarly, once the shortlist of candidates are announced on 10 July, you will be able to submit your guess for the tournament’s brightest young star with the Hyundai Young Player Predictor. With so much to take in during the 2014 FIFA World Cup™ in Brazil, FIFA.com is your one-stop for everything World Cup-related. So, be sure to check back regularly and take in the latest news and updates from Brazil, review your fantasy team, enter your predictions and interact with your fellow Club members for an enjoyable and memorable Brazil 2014 experience anywhere in the world. I can't wait to see the opening ceremony and the kick-off match. I'll be supporting Nigeria, Germany and Portugal, which of the teams are you supporting ? Let us know and also Share your thoughts using the comment box. Let's go to BRAZIL !! !